Bed Arrangements: See cottage descriptions page on website or call for information. Visa, MasterCard, cash, personal check or money order payable to Wilsons accepted. 7% Maine Lodging Tax is additional. Cottage prices are based on occupancy as noted on website. For each additional person, add $35.00 per person per night or $180.00 for the week. Children 12 and under are half price. Children under five are free. Reservations are suggested, and a 50% deposit is required to secure your reservation. Cancellations must be made 30 days prior to arrival for full refund-less $25 processing fee. The remaining balance is due in full upon your arrival. No refunds for early departure. Check in is at 3 o'clock. Check out is at 10 o'clock. Gas and food/small store available on premises. Boats and motors, canoes, kayak and paddle boat rentals available on-site. Other rentals readily available in the area. Wilsons village of fully equipped housekeeping cottages in the North Woods of Maine is open year round. We are nestled in the woods half a mile off Route 15 (Rockwood Road), on the shore of Moosehead Lake at the World Famous East Outlet where the Kennebec River has its rise. 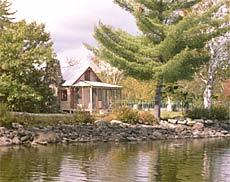 All cottages have screened in porches with views of Moosehead Lake and surrouding mountains. All guests have access to launching and docking facilities, sandy beach, picnic areas, and fire pits. Boats and motors, canoes, kayak, and paddle boat rentals available. ITS snowmobile trails and ATV trails are right at the end of our driveway-No trailering needed! Master Maine Guide available for hunting and fishing. Wilsons is the ideal place to spend a vacation with innumerable activities to interest every member of the family - young or old. The perfect place to do everything... or nothing at all! Come see why folks say we have "Moosehead's Million Dollar View"! Wilson's village of fully equipped lakefront cottages are located at the the center of all your snowmobiling action in the heart of the Moosehead Lake Region. Access ITS 88 right at the end of our driveway to start off your snowmobile adventure around Moosehead Lake. You can head out from Wilsons and connect to all the area trail systems. There are gas stations all around Moosehead Lake and one here at Wilsons for your convenience. You can leave your front door and head out on miles & miles of trails. This is your best chance to see the North Maine Woods. Don't forget your camera! We will give you the directions for a short or long ride. 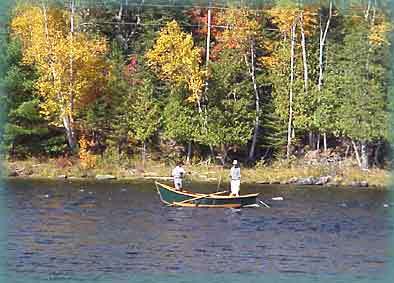 Fishing on Moosehead Lake — Open Year Round! Whether you’re an avid fly fisherman or enjoy casting, trolling, or ice fishing on the lake, Wilsons is the ideal destination for your fishing vacation. The lake and river are the natural breeding grounds for brook trout, lake trout and landlocked salmon, and the dam is the gateway through which thousands of these fish pass. Just step out of your cabin and catch a silver salmon or squaretail trout in the foam flecked eddies below the dam. Or cast into the lake above the dam where big hungry salmon lie waiting for food at the gate head. There are several remote ponds for native brook trout and world-class small mouth bass fishing nearby! 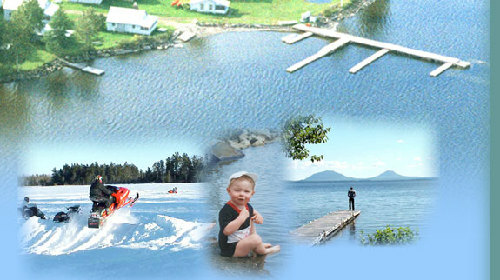 We’re glad to assist you in planning your fishing vacation to Moosehead Lake. Every fully equipped cottage has a 20 mile panoramic view of Moosehead Lake and surrounding mountains with Mount Katahdin standing majestically in the background. Our cottages range from 1-5 bedrooms with 1-3 bathrooms and kitchen, accommodating up to 20 people. We offer private picnic areas and beach. Come see why folks say we have "Mooshead's Million Dollar View"! Some cottages now have Satellite TVs - Please let us know if it is important to you one way or the other. If you're coming to get away from it all, we'd be glad to take it out of your cottage!